This is it! 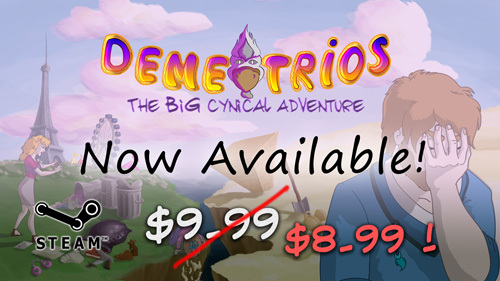 Demetrios is OUT! If you buy it from this site, you'll get both a DRM Free version + a Steam key for the same price!